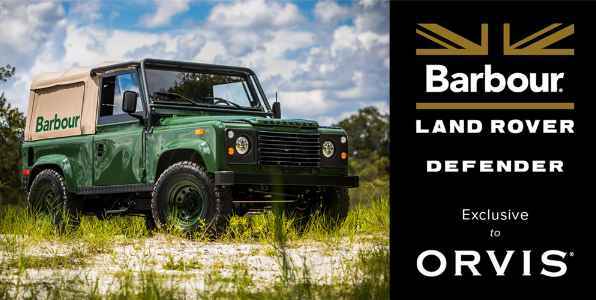 Orvis has teamed up with Barbour to brings you the Orvis Barbour Land Rover Sweepstakes where they will be giving away a fully restored 1995 Land Rover Defender 90 to one lucky winner. How To Enter: Go to this link:www.orvis.com/defendersweeps during the sweepstakes period and follow the online instructions to register by entering all information requested on the registration form and once you filled out the entry form now Click on the submit button to complete the registration form. When To Enter: The Orvis Sweepstakes entry begins on September 14, 2018 at 12:00 p.m. and ends on March31, 2019 at 11:59:59 pm. Who’s Sponsor: The Orvis Great Defender Adventure and Sweepstakes is sponsored by Orvis, The Orvis Company, Inc., P.O. Box 798 Manchester, VT 05254-0798.